.. A forest service employee was attacked and killed yesterday afternoon near West Glacier, Montana. .. Flathead County Sheriff Chuck Curry identified Brad Treat, 38, a United States Forest Service law enforcement officer who was fatally attacked at around 2 p.m. He was riding a bicycle on a trail with another person. 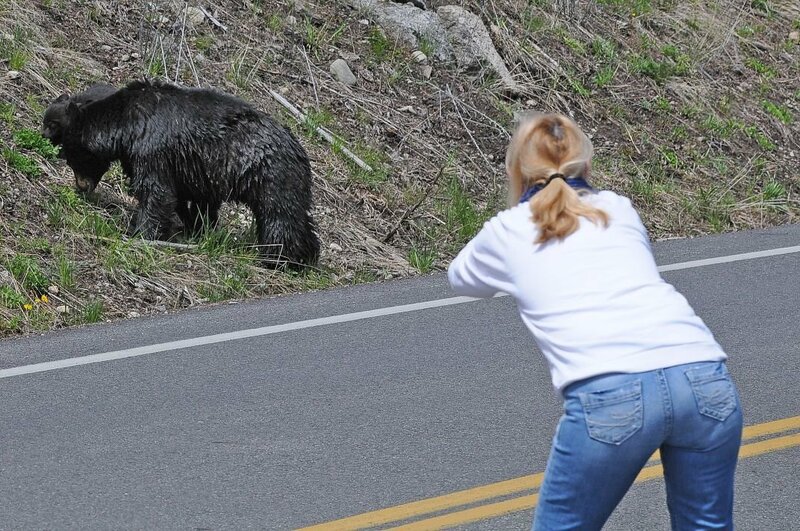 .. "It appears they likely surprised the bear and Treat was taken off his bike by the bear," Curry said. The other rider was able to escape uninjured. .. Treat was a Kalispell, Montana native. Authorities have closed the area around Halfmoon Lakes as the investigation continues. .. There are more than 1,000 wild, free ranging, grizzly bears in the northern Rocky mountains. As of 2014 there were between 700 and 900 in the greater Yellowstone region. The grizzly bear population around Glacier National Park is estimated at between 150 and 300. .. The schisms of humankind are legion. .. Fly fishers, (un-admittidly,) participate wholeheartedly and with the exuberance of a toddler denied a most desirous object. .. Covens of fly flingers cluster around objects, feather merchant aisles, ideas, rivers, gear, techniques, flies, etc. 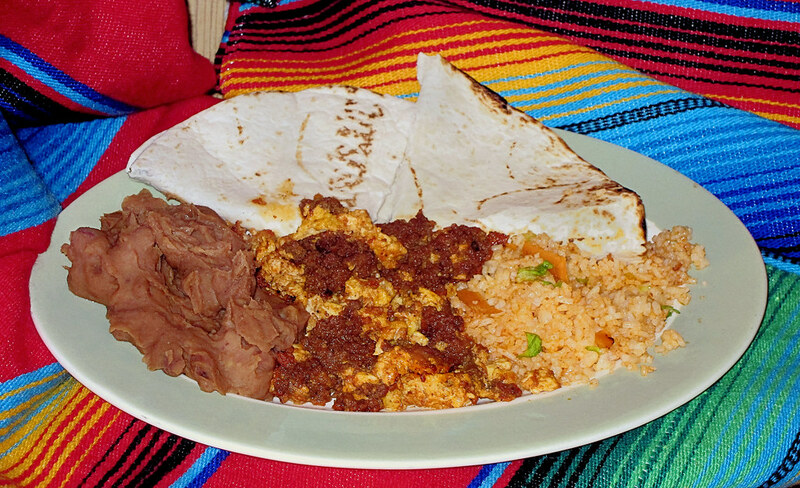 Each is best and, each is best because it's "My Own." .. Of course it is not possible to appreciate the xenophobic perspective from within the "community." It is not , in fact, a concept that darkens the neurons of fly fishers. Nor is it a concept that can be addressed by feather merchants, conservation groups, social clubs, mercantile hucksters, or any of the crowded societal structure surrounding the pastime. .. Brexit is a foreign topic, (no pun,) on the river. Putin is far off. Trump is only a passing fancy. 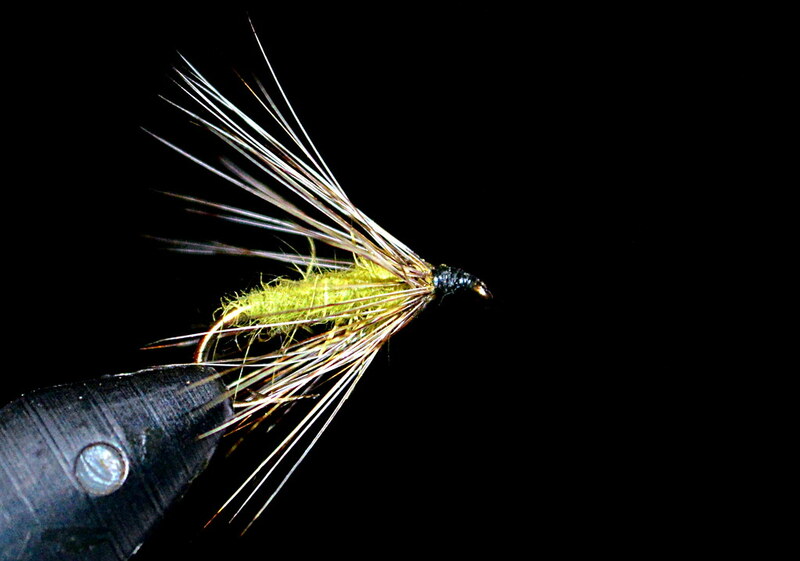 .. Dry flies and BWO's and other stuff rule and, the other sods can take the hindmost. .. Read the literature if you don't believe it. An author reveals the correct and sanctified approach within a paragraph or two. 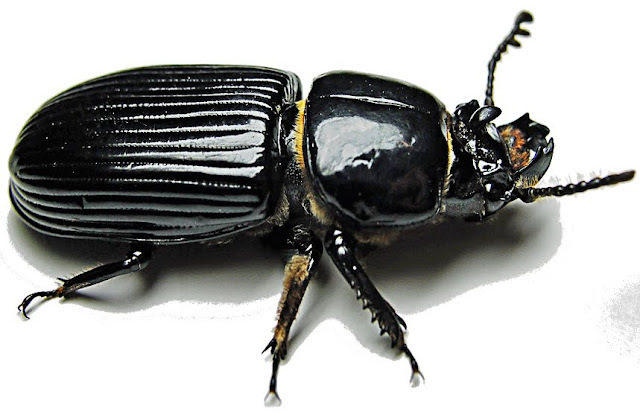 .. Beetles seldom appear in the list of recommended flies for the Firehole River. Yet, indeed, there are many beetles on the banks of that little creek. And, despite feather merchant prejudice, fish do eat them. .. Hoards of grasshopper nymphs flop into the Madison River and Nez Perce Creek each year about this time. 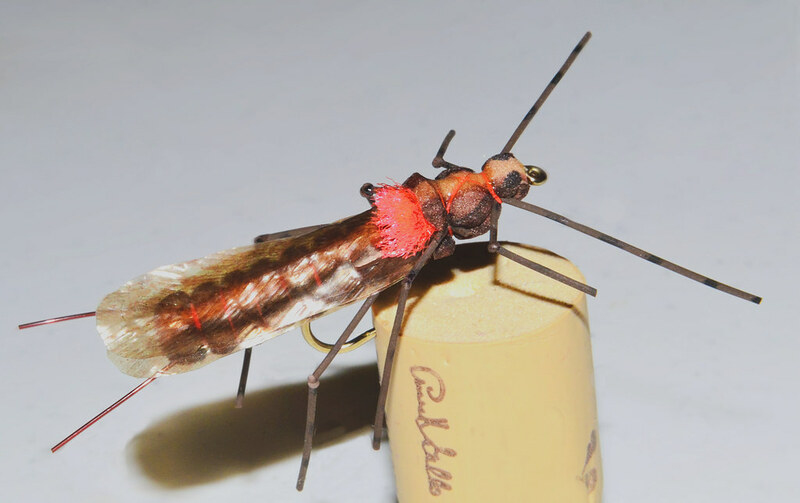 Who in the xenophobic class of "fly tiers" has created a hopper nymph? Fish eat them too. .. The exclusionary attitudes of each little fly flinger coven does nothing to improve the pastime. .. 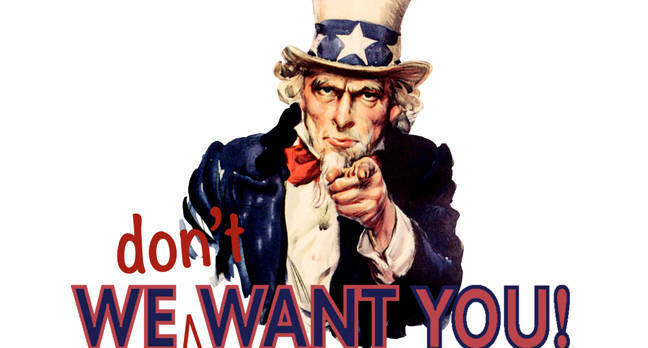 It does nothing to encourage or recruit new participants - despite the lip service given to the trials and tribulations of "younger generation" recruitment. .. 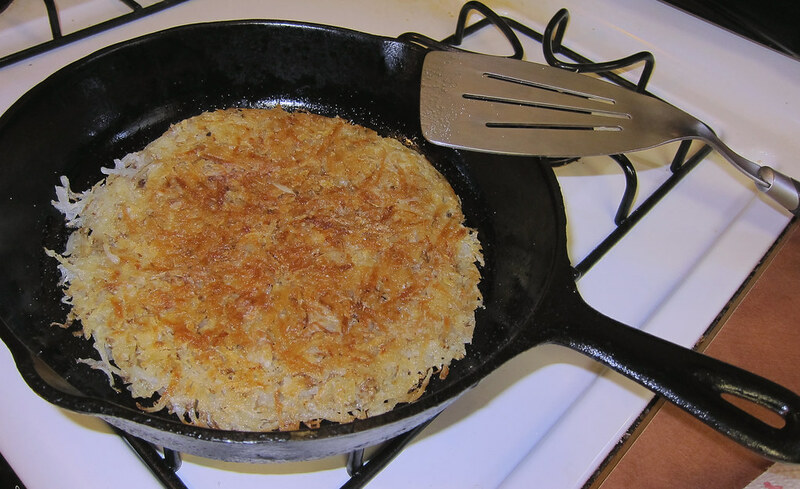 Fly fishing is not the only escapist pastime that suffers from the new xenophobia. Photography, religion, car culture, drone driving, party politics, and blogging all are caught in the web of "Me Best-ism." .. Xenophobia does nothing to unite a sundered humanity that is increasingly fragmented as the days pass. Big wars have become little wars, (not that that's any better.) 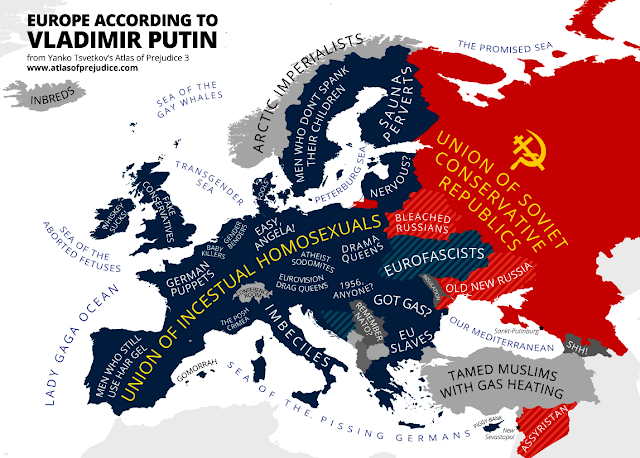 Big countries become split along xenophobic lines. Hobbies are sundered into bits of minutia that are important only to a few. We, (all of us and each of us,) have become nations unto ourselves. .. This is not a new observation. It is, however, becoming more pertinent as we observe the growth of such things as science in Africa, economy in China, re-creation of "Classic Old Taper" bamboo rods, technology in Australia, etc. .. No longer can our culture hide behind the concept of "The West Is Best." As if it ever was. .. The weltanschauung of each and every comitted group in this little blue globe is a statement of the diversity of our species. A simple and fundamental choice comes to the fore: embrace it or deny it. Heads in sand and elsewhere seems to be the preferred human response. .. 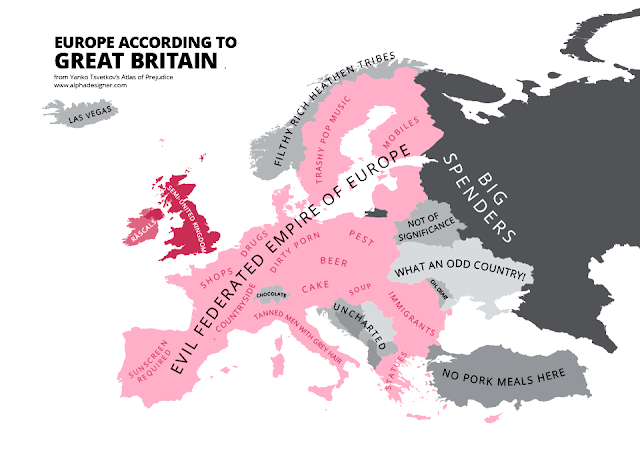 The current perspective about the world from Russia is different from that of Great Britain - DUH! The perception of the United States of America is manifold and dependent on where the viewer is viewing from. 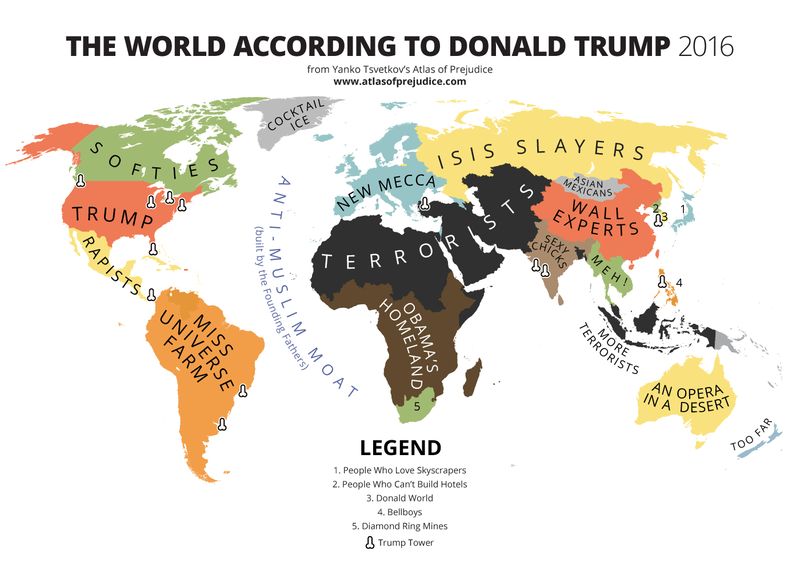 The world view of Donald Trump is different than the others. .. The same is true of fly fishing. Long range party boats from San Diego carry fishers into international waters in search of tuna, wahoo, dorado, and other such fish. How do they perceive the fly fisher? .. Rural citizens of Oklahoma, Tennessee, Florida, and Georgia, catch bass with spinning gear and bait casters. How do they perceive fly fishers? How do fly fishers perceive them? Alas never the 'twain shall meet. .. Dry fly fishers scoff at the nymphomaniac. Streamer folk eschew the San Juan Worm. 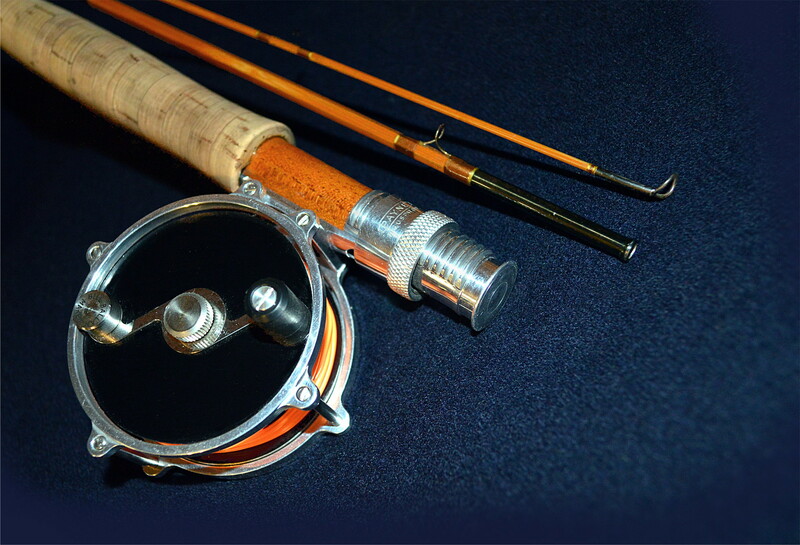 Two handed rod fishers invent new terms for the old time roll cast. And, on it goes. Bless the worm. .. We've borrowed some maps from The Atlas Of Prejudice to illustrate this note. It's an exemplary work by Yanko Tsvetkov. .. It's probably not a work on the shelves of most fly fishers. It is one of several works that could only be written by the author. .. The novelty of the "New Xenophobia" is that it has become so widespread and so widely embraced. .. Not just embraced by philosophers, Sociologists, psychologists, anthropologists, politicians, priests, rabbis, police, and every other imaginable named segment of world society. .. The novelty is that individuals grab their xenophobic banner and use it as justification for right thinking and right acting. It's part of the cultural debris that makes us human. The inhuman aspect is also a bit of cultural detritus that allows the unthinking actions. .. Thanks to Socrates: "ὁ ... ἀνεξέταστος βίος οὐ βιωτὸς ἀνθρώπῳ. "* Sadly, the cultural filter that we each live with makes this nearly impossible. .. Now, marketing and merchandising of either trinkets or xenophobic mentalities runs the risk of isolationism: in fly fishing or in world politics. .. The sun is up. The coffee is gone. The rivers beckon. There may be a day or two left for a beetle on the Firehole River. WALLPAPER: MORE FUN THAN FISHING ?? * "The unexamined life is not worth living." A famous dictum apparently uttered by Socrates at his trial for impiety and corrupting youth. .. Meet at West Glacier. .. The current El Niño – a phase of the El Niño Southern Oscillation (ENSO) - is swinging toward it's other extreme. .. We're ready. We need some moisture and some snow to replenish our waters and lower the volatility of the fuel moisture content of our forest. “El Niño” and “La Niña,” require certain changes in both the ocean and the atmosphere because ENSO is a coupled climate phenomenon. “Neutral” is in the middle of the continuum. .. The faithful are holding their breath as the air temperature slowly rises and the discharge of our west side rivers diminishes. .. If the predicted temperatures for next week hold, we're in for a quick warm up for the Firehole River and subsequent fish lethargy. .. The Madison River should profit, (though not mightily,) for a brief period. 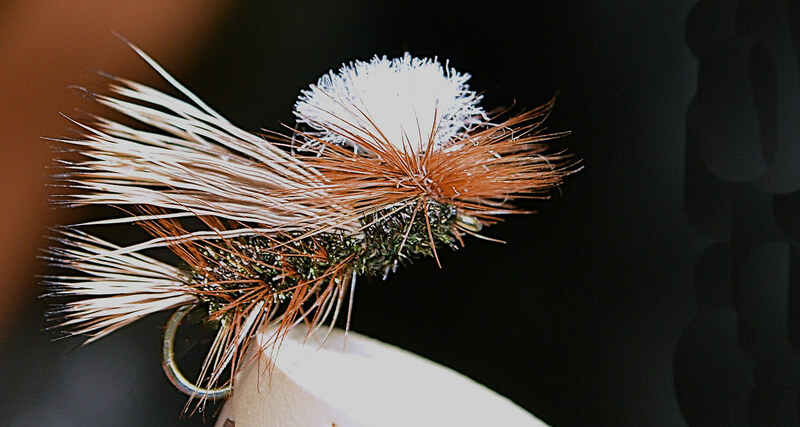 Caddis have been popping with regularity on both the bright and overcast days. This will increase for a couple of weeks. .. No hopper nymphs have been seen but the ants are moving now and some of the small black beetles are also wriggling around. .. When they're up, the surface bugs will draw the fish with them. 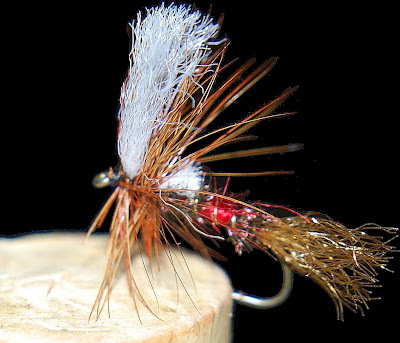 Whether they are up or down a sparse soft hackle will do the trick. .. The Gibbon River has been exceedingly tough in the large meadows. .. A few reports of noses are available and one submarine taken on a chamois leech at dusk magically appeared on a neighbors cell phone. .. On the other hand the Gibbon River Canyon has come alive with new recruits. The low water and high recruitment over the last couple of years has brought about a neighborhood destination along this picturesque segment of the river. 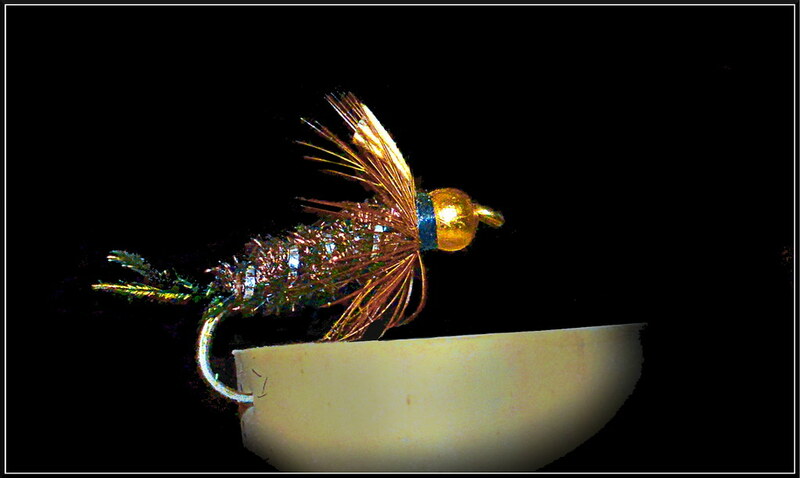 .. All your favorite attractor flies, (and the rejects from the winter experiments,) will gather up trout. This is a good bit of water to use a dry / dropper combination. Don't get carried away with weight and don't make the dropper so deep that you catch the rockfish. Doubles of 6" to 10" fish happen with some regularity. .. 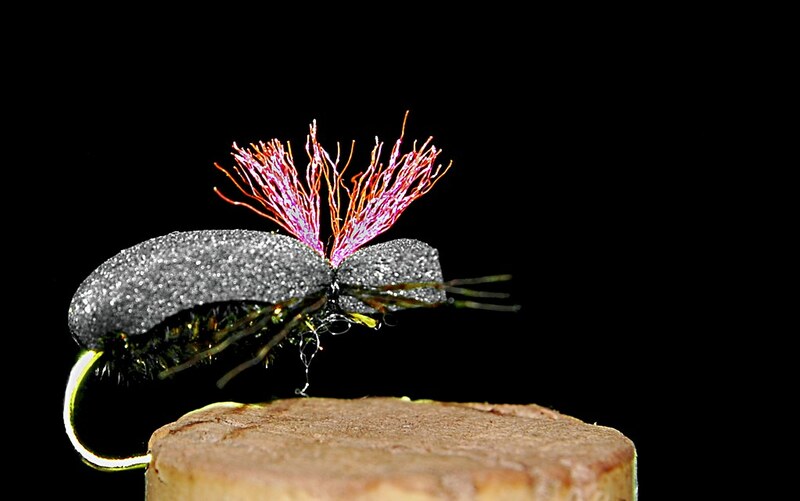 Some of the neighbors forego the weight altogether and use the 'Beadhead Awesome' on point: on top a Goofus Bug, Humpy, Wulff, or some other such is needed to provide some flotation and you are off to the races. .. We've been wandering the convoluted meanders around Baker's Hole. The trout are willing but holding tight to the shore and in the shadows. .. We've not taken any of the few resident submarines in the dark pools in mid stream. .. A couple of the neighbors have guaranteed that we'd be successful with some two toned Wooly Buggers but it hasn't happened yet. .. 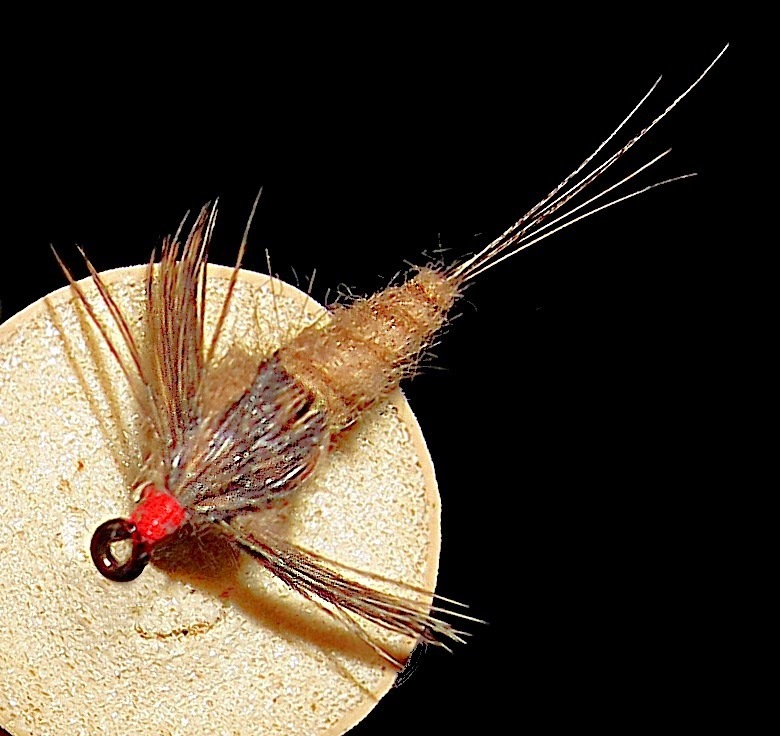 They are using typical Fall flies such as the Baker's Hole Bugger or the Brindle and Hen. Works for them - not for us - yet. .. During the big winds we found ourself on the Gallatin River down near the north boundary of Yellowstone National Park. .. The trout were pleased to take anything on top and anything that was drowned. They were feisty and scrappy, (words used to describe the fish in the 8" - 10" range.) Short casts and colorful language must have helped with the success in the catching department. .. The garden beckons and the streets are full of visiting entertainment. We'll take a stroll around the village for the mid day rush. .. Then off to the to the mighty willow thickets of the Madison River as it debauches into Hebgen Reservoir. It's dry enough and the mosquitoes are not out in force - yet. .. With a week of clouds and rain and seasonal temperatures the west side rivers in Yellowstone National Park have continued to be a productive destination for catchers of the wily trout. .. We spent a week in the park visiting places we have not seen in a year or two. All is well. 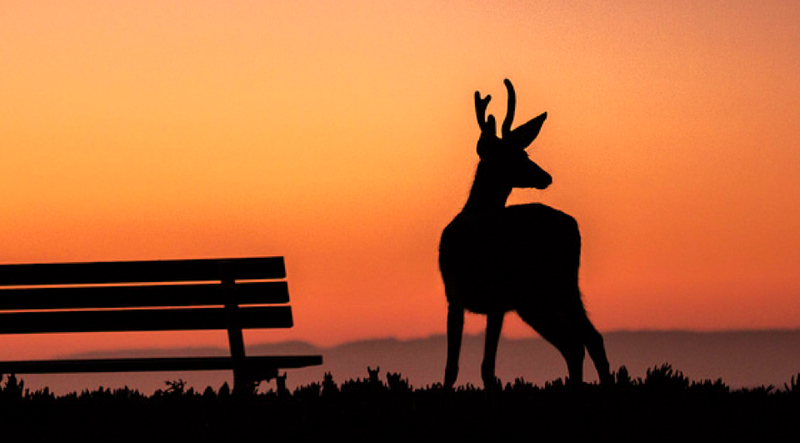 Lodging prices are up and the crowds are thicker than ever. Look for another record year. There are giant condos on wheels and buses like never before. 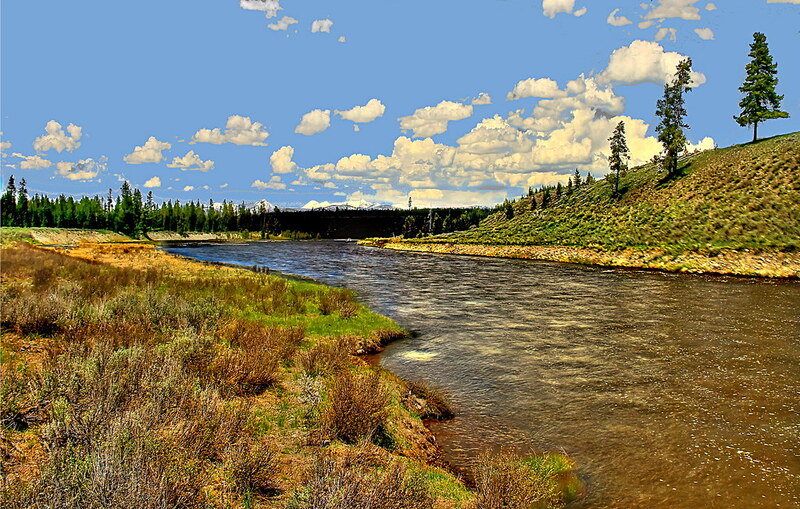 >> Firehole River in good shape. Fish now and thank the spirits for the cool and increased discharge. >> Madison River slightly colored. Still some Stoneflies, caddis, and streamers. 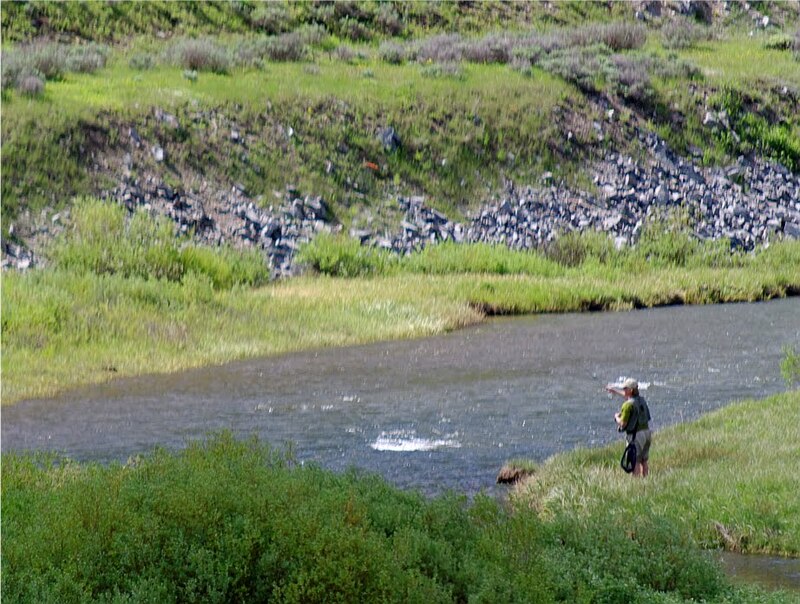 >> Nez Perce Creek fish with attractor flies up beyond the thermal area. Catch bigger fish than you've any right to expect. 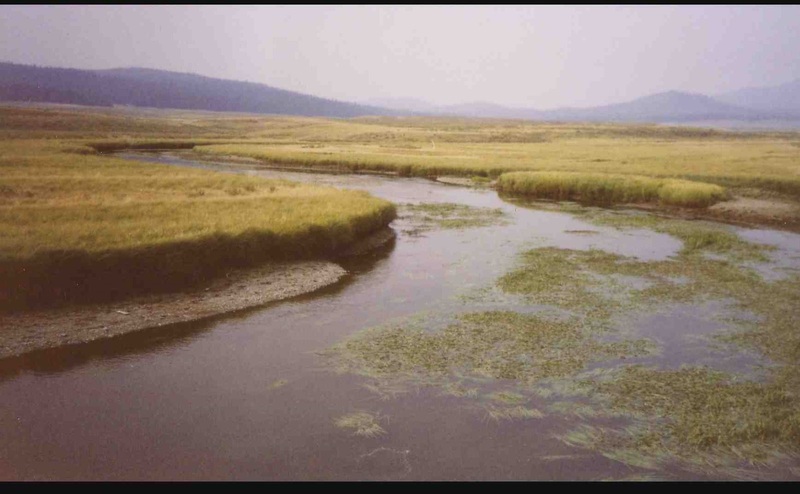 >> Gibbon River the big meadows are soggy and only the brave will be rewarded with early morning or evening monsters in the slow and slightly colored waters of the lazy bends. Sight fishing to noses is still possible. >> Gibbon River Canyon has very cordial fish that are being very traditional in their response to the good old flies. This is the place for your favorite attractors. 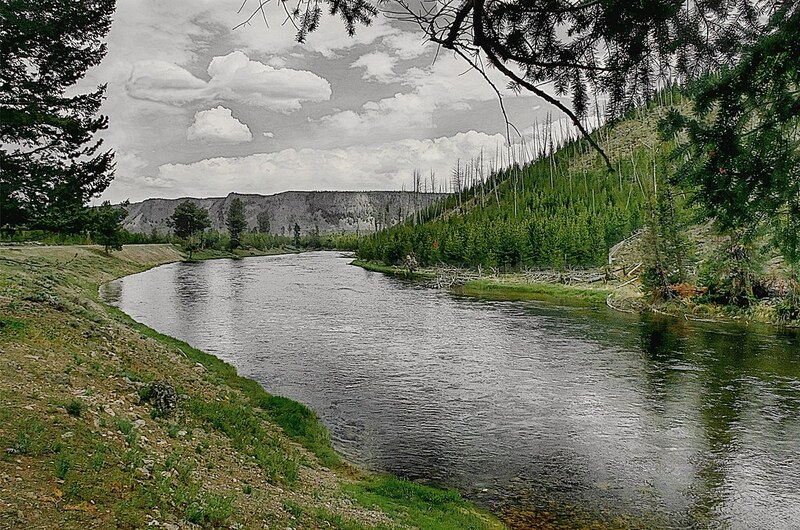 >> Gallatin River above the confluence meadows is a place for solitude, big fish, bears, and moose. Keep your bear spray in hand and whistle while you work. >> Taylor Fork a bit muddy right now. Fish the edge of the silt line as it enters the Gallatin River. >> Cougar Creek above the sinks seems to have some nice fish - judging by the cell phone pictures we've seen. >> The Duck Creek bears have engendered some warning signs being posted at the park boundary. >> Upper Firehole River brookies are being entertained by many visiting children. >> Obsidian Creek is holding it's own given the heavy visitor traffic and wonderfully forgiving fish. .. There is no official Yellowstone National Park press release at the moment. .. BUT, Local news media outlets are reporting that a man has died after falling into a hot spring. .. Park rangers are treating the incident as a fatality as they continue their search for the man. Park headquarters in Mammoth has confirmed that no additional news will be forthcoming today. BILLINGS GAZETTE, BOZEMAN DAILY CHRONICLE, YELLOWSTONE PARK NEWS RELEASE. 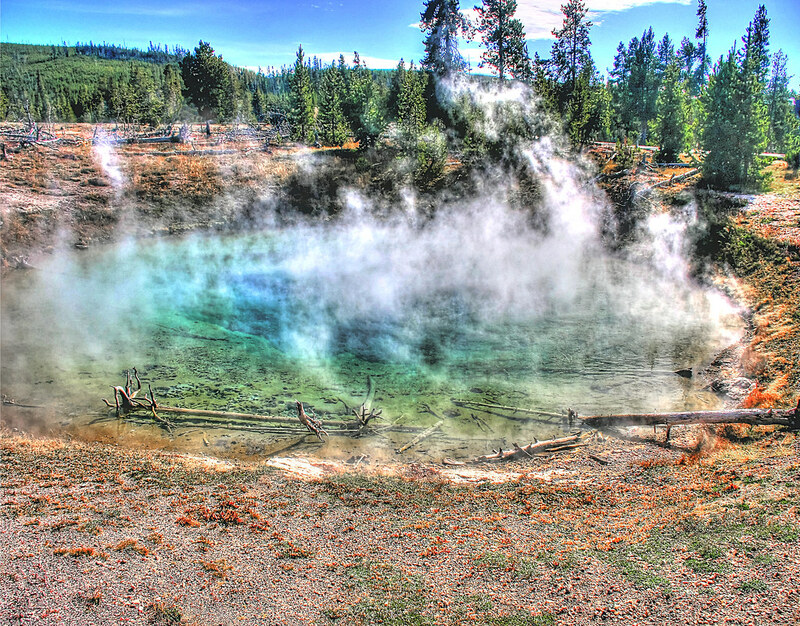 • A group of men who post pictures and videos of their travels on social media walked onto a sensitive hot spring, snapping selfies and dipping a hand into water that can reach the boiling point. • Another Yellowstone visitor violated park rules by loading a bison calf into his vehicle out of concern it needed help, and the bison was euthanized. • Another tourist approached within an arm’s length of an adult bison in the Old Faithful area, which was captured on a video that went viral. The bison, which was lying down, reared up but did not charge. • Another video featured visitors posing for pictures with bison at an unsafe and illegal distance. • And another video that went viral this spring showed a cow elk charging a woman who was approaching it. 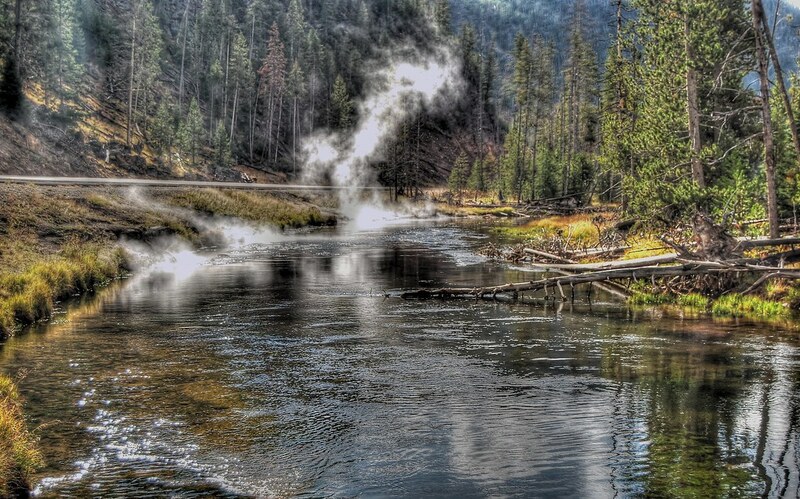 .. Well folks the Firehole River hit 79° F yesterday. .. It only spiked to 77° F today. The clouds that were promised by the weather people have materialized too late to ameliorate the rising temperatures in the little creek. .. The meager drips and drizzles from the sky have been full of dry lightning and sounds to encourage fishers - but no cooling rains. .. Discharge is still around 250 cfs below seasonal norms and is still flirting with record lows. .. The bugs are hatching at a prolific rate but it seems that the fish are too listless to expend the energy necessary to gather them off of the top of the water. 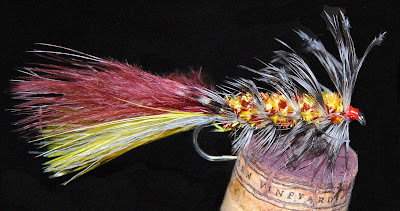 .. Nymphs and soft hackles are still the go to flies on this most famous of dry fly waters. Some of the neighbors have had surprisingly good luck on top with the "Stiffy" Dry Stiff Hackle. .. Late afternoon and evening catching on the little creek has been right next to obscene with several types of caddis erupting in the bright sun from the warm water. .. It's a "pick your poison" kind of fishing. 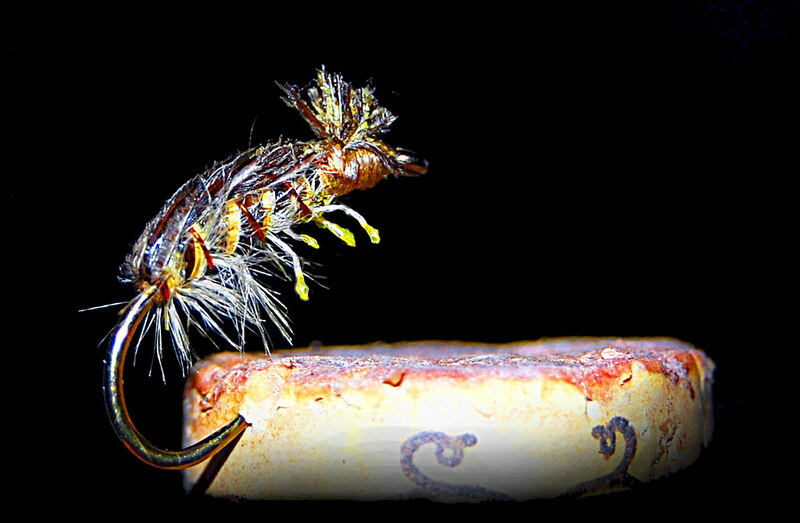 Grab your favorite caddis imitation and fling away. If this keeps up we may need to designate the creek as a "kids fishery." Yes indeed, it is that easy. .. The Firehole Canyon is still full of the big bugs and out into National Park Meadows they are being gobbled by the trout. There is also a pretty good evening caddis hatch in the meadows as well. .. Should you venture into the Gibbon River side of the meadows you will bump into little yellow stoneflies. If you are in luck you will have to pick them out of your ears. .. Up in the little meadows of the Gibbon River the Brook Trout have come alive. .. This is an anything goes sort of fishing experience. The water is thin and cold and the fish will feel you coming before you get your one cast. .. The canyon water above the falls is still attracting the folks that know. This is the place to exercise your favorite attractor flies. .. On top, in the film, drowned a little, drowned a lot - it's all going on right now. Anything from Stimulators to Royal Coachmen are just fine. 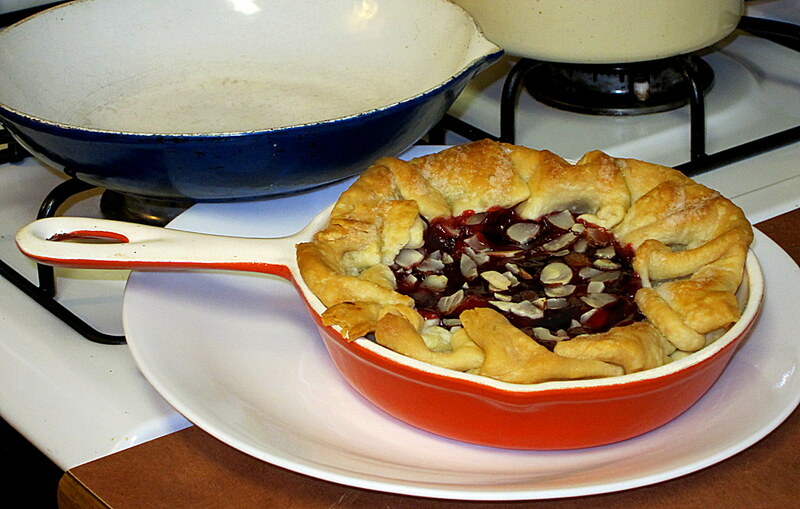 Stick with moderate to small sizes and you should do very well. .. It's time for some more thunder: maybe some rain and coolness will accompany it. 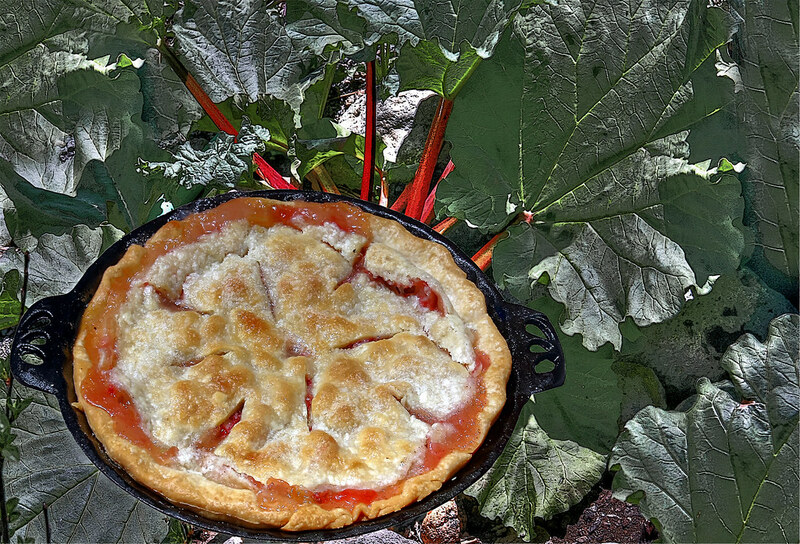 WALLPAPER: RHUBARB PIE - STRAIGHT UP! ..We're not prone to hyperbole but, the classic and popular segments of the Firehole River are fishing just like the guidebooks and counter help explain it to you. .. We visited with a few visitors on the rivers and came away with one interesting observation that they had made: the hooks from the feather merchants are amazingly dull this year. A few swipes with a diamond sharpener will go a long way to insuring your success. .. Better than good numbers of Baetids and some PMD's have been coming off. .. The super dry fishing has been just O.K. but, the emergers, (slightly drowned or in the film,) have been what many of the neighbors have been using. .. These combined with the standard drowned soft hackle or "Dry Soft Hackle" Are becoming, (more than usual,) the go to choices. .. 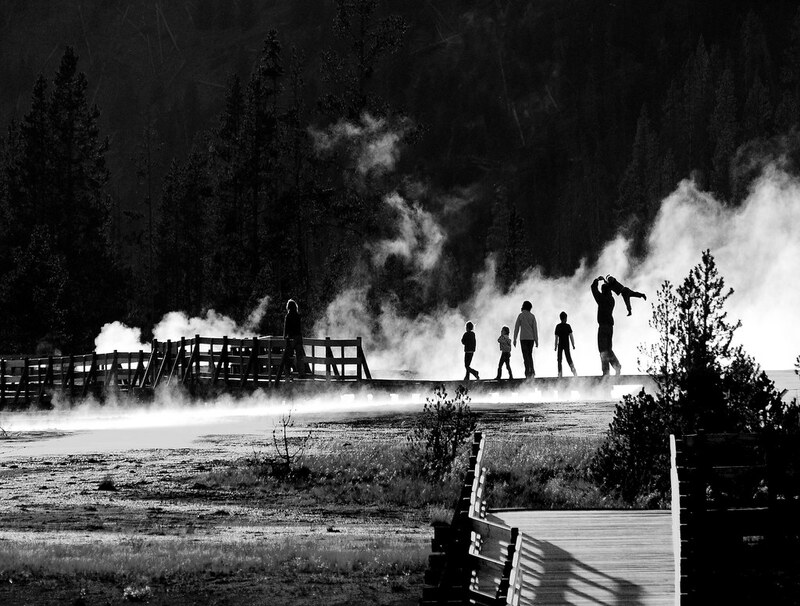 It's good to enter Yellowstone National Park early: it's better to stay late. The caddis are already prolific in the afternoon and there have been some late evening spinner falls of the mayflies. Lots of noses in the air in the early evening. .. The Madison River is alive with eager and ravenous fish. They are feeling very lonely. .. Ignoring the Madison River early in the season is a tradition of feather merchants, guides, and guide book readers. .. Many folks would rather gather up fifteen to twenty 10" fish instead of ten or fifteen 19" fish. It's a strokes and folks thing. .. Of course, by the time they get to the Madison River the best of the catching has moved on and they spread stories about how the river really isn't worth fishing. Some of the strange stuff you hear from the establishment rumor mill. .. The Gibbon River Canyon has a nice assortment of rainbow trout and some wily brown trout, should you need to gather up more than a handful of fish in a morning or afternoon break. .. This is one of the most rewarding of nymphing rivers at this time of year. .. We use the King Prince or just a large Prince nymph. .. There are also regular and consistent hatches of mayflies that the fish seem to discover before the fishers. Floating a dry in the appropriate places can surprise even the most expectant fisher. .. We gathered some intelligence from a couple of fishers that fished the big meadows and the Brook Trout Paradise above the cascades. Recruitment of Brookies has been exceptional over the last few years and it's becoming commonplace to take a few 10" or 12" specimens in couple of hours. The crowds have found this water but the fish seem to be very cooperative and not too skittish right now. .. 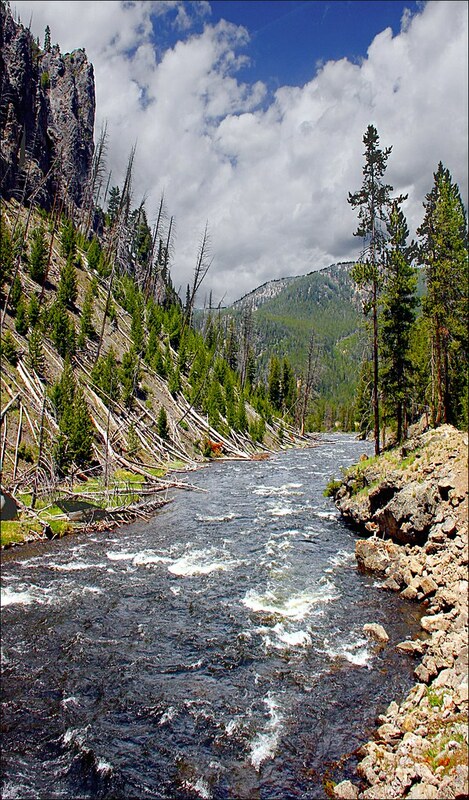 The Firehole Canyon is being visited by some savvy fishers and a covey of the neighbors. .. Stoneflies of several sorts are in both canyons. Pick your poison and hang on. .. 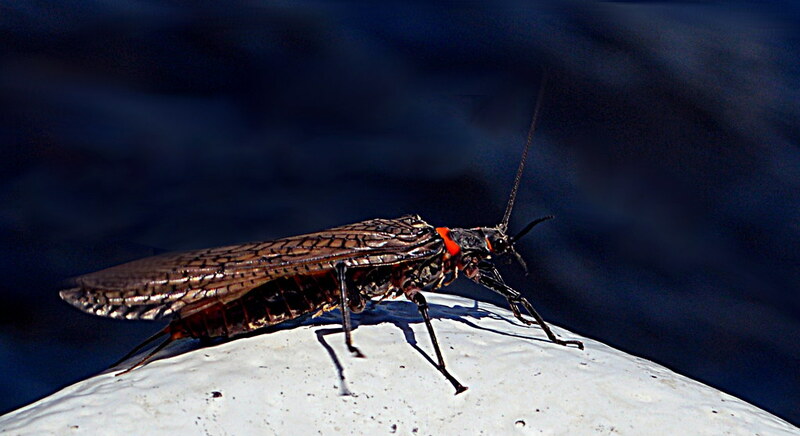 There are even some large salmonflies on the Madison River between Madison Junction and 7-mile bridge. .. The neighbors are using sparsely tied black nymphs in both canyons and on the Madison River. .. The big bugs are beginning their contrary appearance along the Firehole River. They are crawling along the shore above Firehole Falls - but not in any great numbers. .. Firehole Canyon has a few early fliers as well. 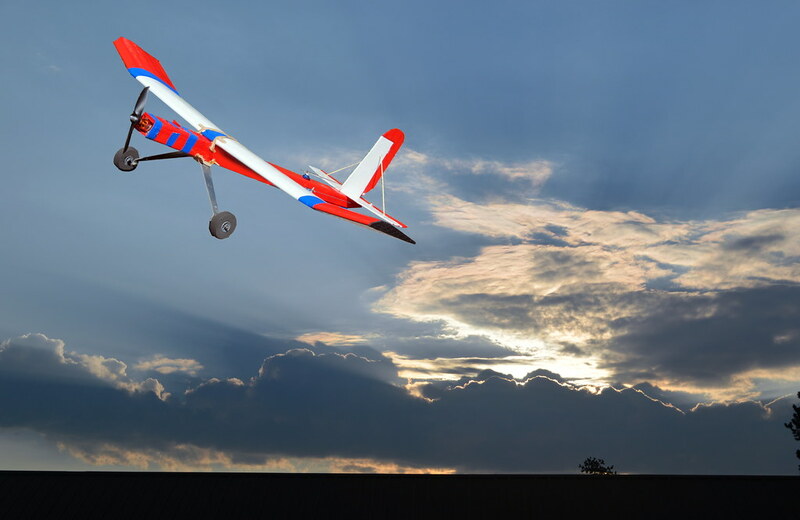 This is a good time to use a floater/dropper combination. 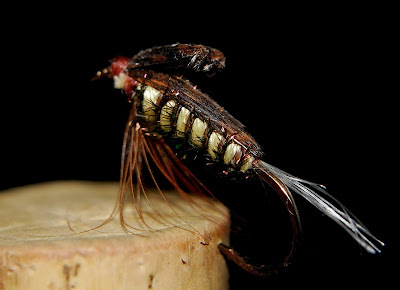 Put your best "mature" floater up high and a dark, (sparsely dressed,) nymph ten to fifteen inches down at the tip. No need for weight, just cover a lot of water. .. Should you be feeling adventurous a double nymph of yellow or golden stones along with the big honker can provide near constant action in the right place. .. 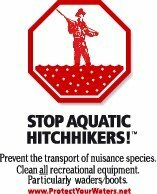 Soon you won't have to cover any water - the fish will willingly jump in your waders. .. This is about to change. Hatch chasing for the dryfliest should become exceptional over the next five or six days as the gray and gloom and drizzle return. .. 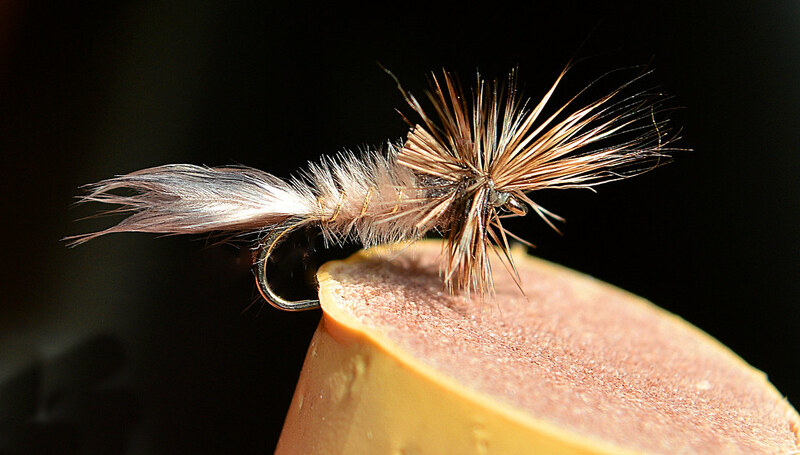 There should still be enough afternoon sun and brightness for the caddis and white miller visitations. Hopefully the nights will cool off some. 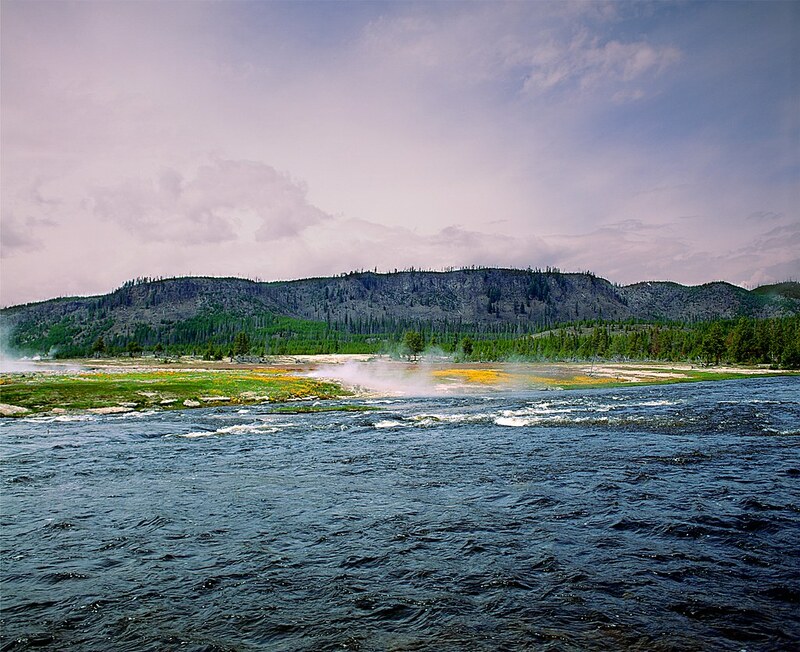 .. Get thee to the Firehole River right now. Discharge on the little stream is a few hundred cfs below median rates for this time of year. It is also approaching historic minimums. .. Temperatures have already spiked to 75° F. Official closure may or may not happen but, it's soon going to be very hard on the fish if you stab one in the snout. .. We are loath to say it but, catching has gotten off to a fantastic start. We hope that there is a guide book writer in the house. .. Better get out the 10 weight two handed rod.